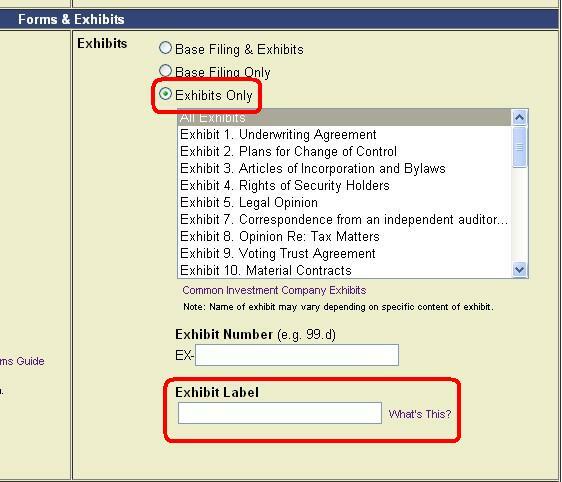 If you ever need to comb through the roughly 6 million documents that are tacked onto filings as exhibits—Employment Agreements, Stock Purchase Agreements, Press Releases, Articles of Incorporation and Bylaws, and the like—then your new best friend may be the little radio button next to “Exhibits Only” on our SEC Filings page. Bypass bulky filings and get straight to the exhibits themselves, employing powerful, granular search capability. You can even employ bi-level text searching by using both our Exhibit Label field and the Full Text Search.